Sale-A-Bration started yesterday!!! During Sale-A-Bration (SAB), you can earn new products for free with $50 orders. Just click on the button on the right to check everything out! I love the card that I have to share with you today! It uses the Banner Blast stamp set (my favorite!) from SAB. 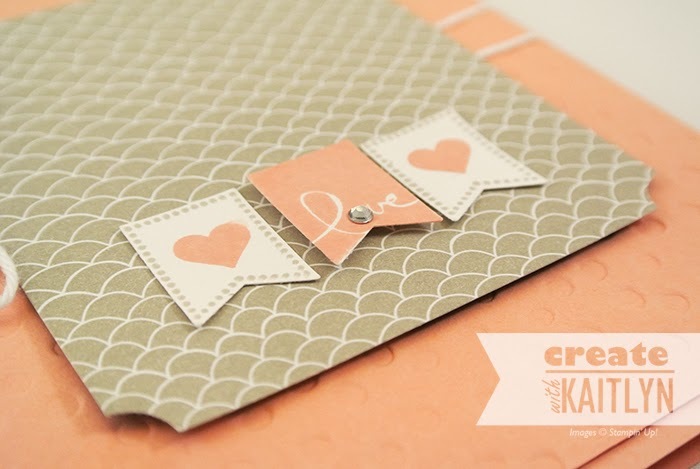 I also used the Decorative Dots Embossing Folder and Sweet Sorbet Designer Series Paper (both of which are SAB products). I love these dots! Here I used the embossed paper "upside" down. This is a super simple layout that I think I will be using again in the furture. The best part about the Banner Blast stamp set is that it has a coordinating Banner Punch, also a SAB product! So, you could get both the stamp set and punch for free! How awesome is that!?!?! ?